I’m registered for Artweeks 2019 and will be exhibiting my work between 24-27 May - see my artist profile here. This is during the North Oxfordshire area calendar window, so hopefully you’ll be able to visit me amongst the other nearby artists. I gave this evening talk on my landscape workflow and methodology. It was particularly interesting to see the worked examples of some images. He showed us his test images to illustrate how he came upon the best viewpoint and camera settings for a Lake District shot, then took us through the post processing – pretty minimal as you’d expect with such meticulous attention to detail at the taking stage. Likewise, an example from his Iceland set – just small tweaks of tone and slight vignetting. A late evening shot of Durdle Door on the Jurassic Coast required more work to extract shadow detail, but again this was made easier (possible) by the care and precision at the shooting stage. His last worked example, a very minimalist shot of trees in Iceland, summed up Nathan’s approach – to capture what is there, to emphasise what is important, and to show it at its best. I exhibited at this Oxfordshire-wide celebration of art! My work was on display here for the month of January in this cafe / art shop / gallery in Banbury's old town district. A mixture of local landscapes and some UK / international work was up for sale along with mounted prints and some postcards. I exhibited one of my best prints - 'Reaching for warmth of sunrise' in this curated exhibition / competition only held every two years. Sadly I didn't win the overall prize, but it was nice to see my work displayed locally for a month! 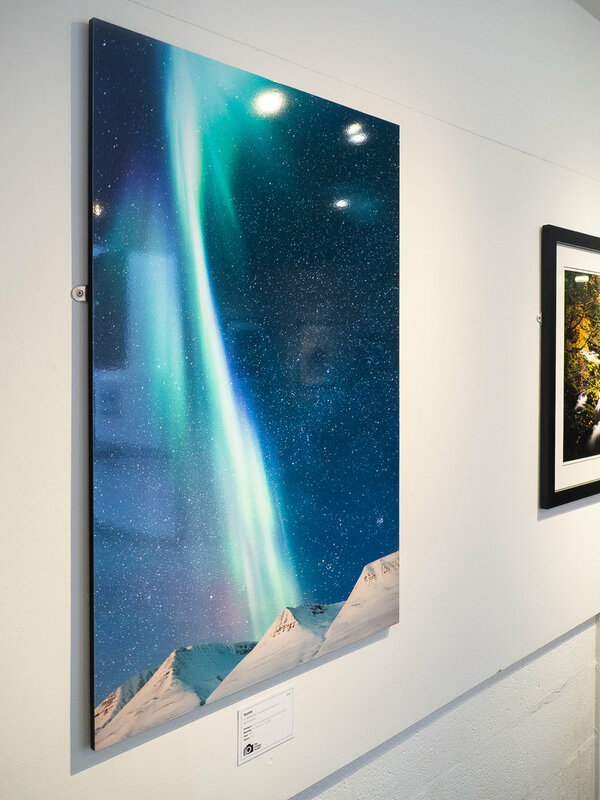 This was held in 2015 in association with Outdoor Photography magazine - I exhibited four prints from around the world alongside many other photographers. The location was in Pall Mall and the event was opened by the famous landscape photographer, Charlie Waite.